A curious story…the son of a Pentecostal preacher sues the government and wins. It appears that a prospective employer required him to cut his hair – something that did not agree with the Rastafarian faith that he began practicing after his journey took him from Christianity to Islam to Rastafarianism. 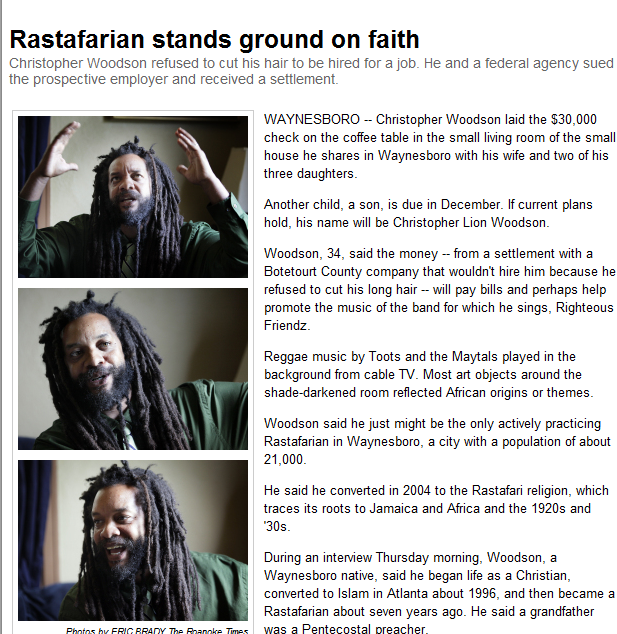 Read the story in the Roanoke Times about “the only practicing Rastafarian in Waynesboro, Virginia” — a town of 21,000.